McAllen ISD has done it again! 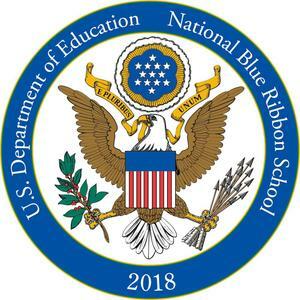 Houston Elementary School has been nominated for a prestigious national award – the Blue Ribbon – it was announced by the Texas Education Agency today. Only 26 schools in Texas were nominated. Typically, only a few hundred earn nominations nationally. Houston was nominated as an Exemplary High-Performing School. Houston offers the Minitropolis program. Here, students earn real-life leadership, career, and finance skills. They become mayor, police officers, nurses and more – learning about responsibilities, earning “money” and managing it. They also develop the confidence to become effective thinkers and communicators. Houston Principal Debra Thomas Loya credited her students, staff, and parents. This is the second McAllen ISD school in recent years to earn a Blue Ribbon award nomination. In 2015, Achieve Early College High School first earned the nomination and later earned the coveted Blue Ribbon. McAllen ISD’s past Blue Ribbon award-winning schools also include Travis Middle School (1994-96), Milam Elementary (1989-90) and Seguin Elementary (1985-86). Nominated schools must now complete a rigorous application process through the US Department of Education. Announcements of the national award winners will be made in September. Schools that receive the award will be recognized at the Blue Ribbon Schools awards ceremony in Washington, D.C.